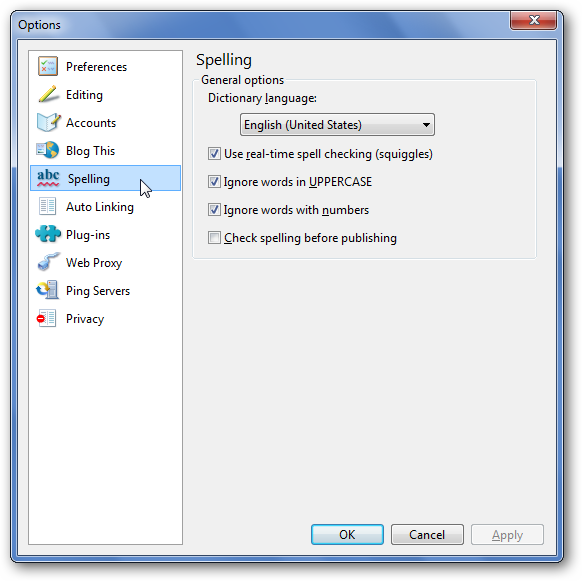 Windows Live Writer is a great tool for writing and publishing posts to your blog, but its spell check unfortunately doesn’t include many common tech words. Here’s how you can easily edit your custom dictionary and add your favorite words. 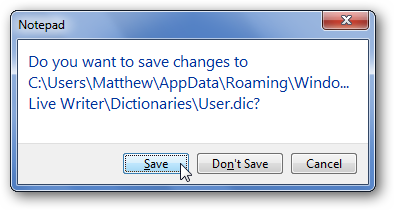 Adding an individual word to the Windows Live Writer dictionary works as you would expect. Right-click on a word and select Add to dictionary. And changing the default spell check settings is easy too. In the menu, click Tools, then Options, and select the Spelling tab in this dialog. Here you can choose your dictionary language and turn on/off real-time spell checking and other settings. But there’s no obvious way to edit your custom dictionary. Editing the custom dictionary directly is nice if you accidently add a misspelled word to your dictionary and want to remove it, or if you want to add a lot of words to the dictionary at once. This will open the User.dic file in your default text editor. Add any new words to the custom dictionary on separate lines, and delete any misspelled words you accidently added to the dictionary. 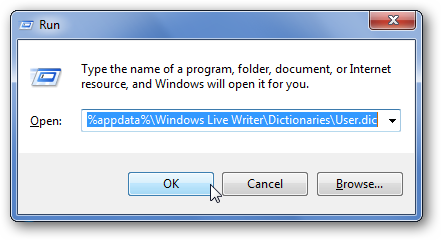 Microsoft Office Word also stores its custom dictionary in a plain text file. If you already have lots of custom words in it and want to import them into Live Writer, enter the following in the Run command or Explorer’s address bar to open Word’s custom dictionary. 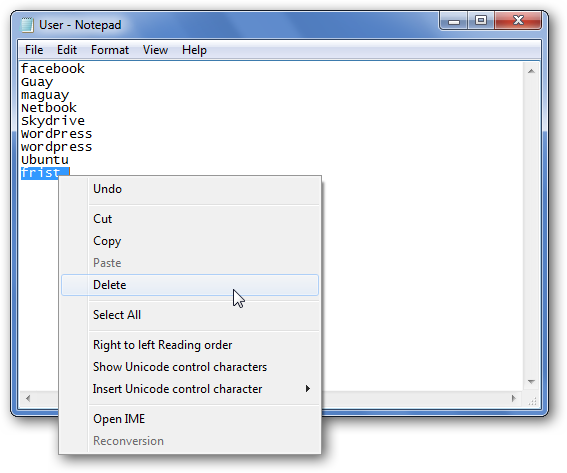 Then copy the words, and past them into your Live Writer custom dictionary file. Don’t forget to save the changes when you’re done. 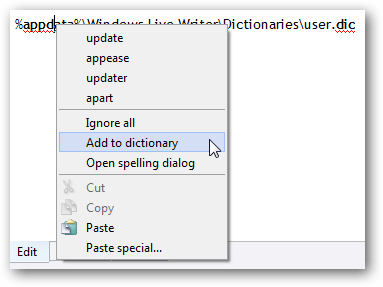 Note that the changes to the dictionary may not show up in Live Writer’s spell check until you restart the program. If it’s currently running, save any posts you’re working on, exit, and then reopen, and all of your new words should be in the dictionary. Whether you use Live Writer daily in your job or occasionally post an update to a personal blog, adding your own custom words to the dictionary can save you a lot of time and frustration in editing. Plus, if you’ve accidently added a misspelled word to the dictionary, this is a great way to undo your mistake and make sure your spelling is up to par!